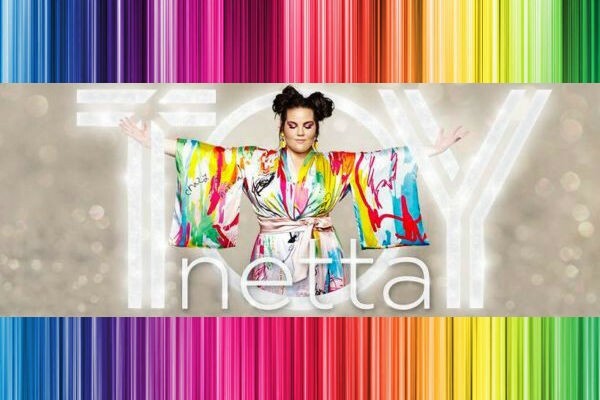 “TOY” — the Israeli entry for Eurovision 2018 from Netta Barzilai — has taken the Internet by storm, clucking up … sorry clocking up more than 7 million views on YouTube since its March 12 release. And today Netta kept her song moving with an official remix from Sagi Kariv — a DJ and producer based in Tel Aviv who is known for his work across house and its sub-genres circuit, power and progressive. His spin on Netta’s eccentric track gives it a more club friendly vibe, nodding to early 2000s Thunderpuss. No wonder his Sound Cloud has over 34,000 followers already! Having a club remix is a great way to get the song into more mainstream environments. But mainstreaming can’t take away Netta’s authenticity and originality. The mix keeps her unique clucks and sets her empowering message into overdrive with its bangs and clangs. That message came through loud and clear during Netta’s recent interview with wiwibloggs — her first in the English language. She also explained her vocal looper, which has interested and bemused fans in equal measure. Today’s remix isn’t the first time we’ve heard the song re-worked in recent days. Anonymous — a registered charity promoting animal rights in Israel — recently applied the song to the group’s belief that animals deserve to live their lives free from suffering and exploitation. To watch that click on the story below. Do you like when Eurovision songs get remixes? How do you feel about this one? Will you be begging DJs to play the Sagi Kariv Remix of “TOY”? Excited about the changing world, creativity, and innovation. Love all different types of music and art. Based in Stockholm, but a citizen of this amazing universe. No final I think. It is even worse than dancing monkey last year. Well.. I think that Israel is now the strongest pre-contest favorite (if you call it like that) – Catchy, fresh, charismatic. Same story like Italy last year. Finally dancing monkey didn’t won, but maybe singing chicken will. Especially taking into consideration the lyrics which are so politically correct. Sing this song in front of a picture of Donald Trump, Datsik, or Louis C.K (all three have sexual assult allegations against them). You’ll probably get what ‘stupid boy’ means in this song. Frankly I didn’t care so much about Israel winning but when I read some if the nasty comments about the song and about Netta I would love her to win just to enjoy some hat eating. I want a dance version of Rasmussen – “Higher Ground” and not just a speed up version that makes him sound like a chipmunk. Why some people are angry as if Toy is the first song ever about a jerk. Don’t make comments here. They are for certain to be deleted. Mess. You guys say this every year about the song that’s number one in the odds. It’s becoming very boring. If that comment was meant to be amusing, you failed. They can’t win. If they don’t talk about it, then people will complain “why aren’t you talking about the Israeli song! ?” You can never make everyone happy. Serious question. 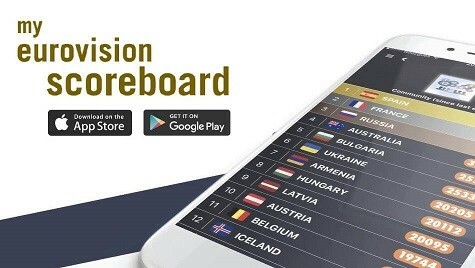 If Israel wins this year but IPBC do not have EBU membership by sometime later this year, would they still host or would that job go to another country? From past experience, it’s extremely likely that the official answer to that question won’t be known until after Israel wins the contest. (If that happens.) Sorry. Although the message behind it? I honestly believe that the message is undermined by the childish character of this song and the inverse sexism it insinuates. In other news Ari Ólafsson (Iceland 2018) made a cover of Salvador’s song “Amar pelos dois” with lyrics in english by Alexander Rybak. Charles, I never expected myself saying this but…I have missed you! As a party song *****/***** definitely!